After the yarns are spooled, they are moved to the weaving line where our trained technicians retool the weaving equipment according to the desired fabric density. Anthente manufactures both flat and round-woven PP fabrics, which are inspected and tested for quality during the weaving process. 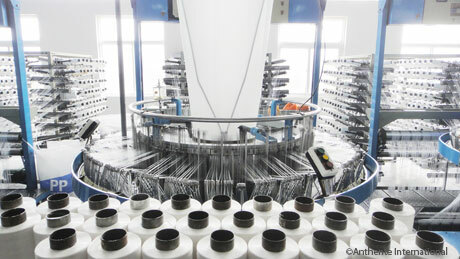 After weaving, the rolls are either transferred to the cutting area, or they are wrapped and packaged for shipping.